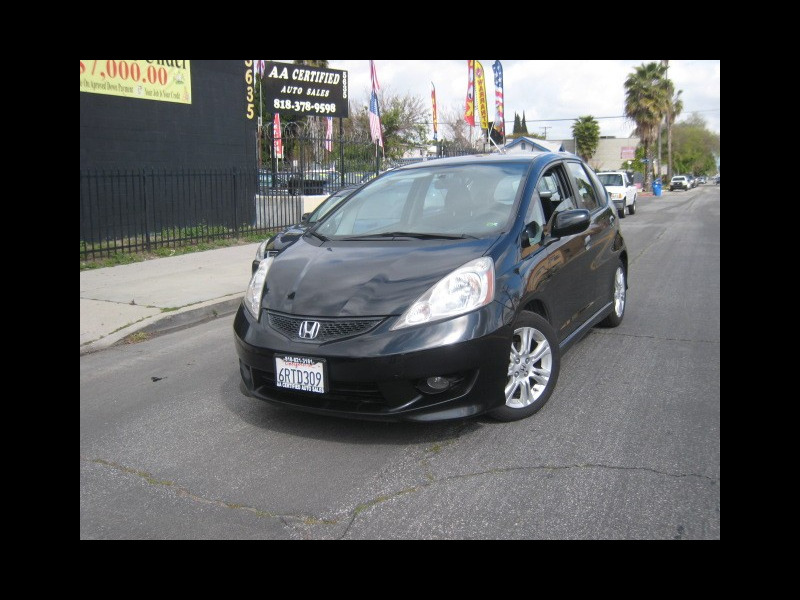 2011 Honda Fit Sport, ONE OWNER......Well Kept And Serviced At Local Honda Dealer .....119 K MILES !!!!!!!!!!!! Black With Black Interior.................. Clean Title, No Accident..........This Beautiful Fit Is Loaded With Automatic Transmission; Paddle Shifter; Spoiler; Power windows; Power door Locks; Tilt Steering Wheel; Cruise Control; Tinted windows; AM/FM With CD/MP3 Player; Aux. Rear defroster and much more!!!!! Honda Fit Has Roomy Interior, Compact Design Makes It Easy To Drive And Park, Dependable, Low Cost Maintenance Makes It A Smart Choice For Southern California Lifestyle ..............................Call Us Now to Schedule a Test Drive (818) 821-3181 OR Come See Us In Person at 5635 Tujunga Ave. North Hollywood CA. 91601...............Vehicle History Available ........ Financing available. BAD CREDIT, NO PROBLEM (on approved down payment). Your JOB is your Credit............................... WE HAVE MORE LOW MILES AFFORDABLE CARS IN STOCK.